Few people in the history of the United States embody ideals of the American Dream more than Nate Harrison. His is a story with prominent themes of overcoming staggering obstacles, forging something-from-nothing, and evincing gritty perseverance. 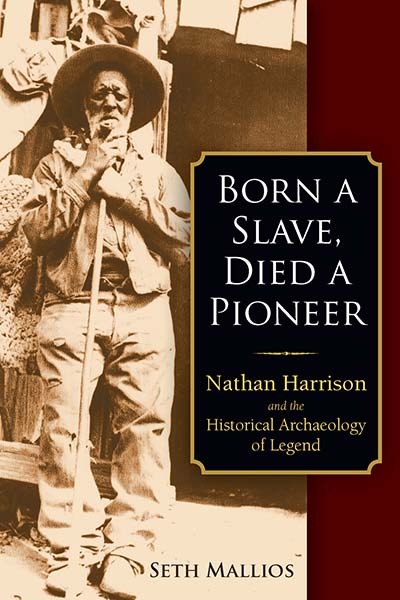 In a lifetime of hard-won progress, Harrison survived the horrors of slavery in the Antebellum South, endured the mania of the California Gold Rush, and prospered in the rugged chaos of the Wild West. This book uses spectacular recent discoveries from the Nate Harrison cabin site to offer new insights and perspectives into this most American biography. Seth Mallios is Professor of Anthropology, University History Curator, and Director of the South Coastal Information Center at San Diego State University. An archaeologist, anthropologist, and historian, Professor Mallios received his BA from the University of California, Berkeley and his MA and PhD from the University of Virginia. Dr. Mallios previously served as Site Supervisor at the 1607 James Fort archaeological site in Jamestown, Virginia. Since moving to San Diego in 2001, Professor Mallios has spearheaded six active research projects resulting in nine books, dozens of articles, and nearly $2 million in over 80 extramural grants, contracts, and awards.